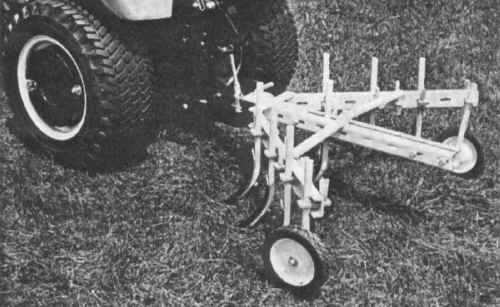 The cultivator requires the 1600055 one point hitch and the 1690045 rear lift kit. It adjusts for rows 6" to 42" wide. It is quick to assemble and adjust with the "wedge lock" design. It is equipped with five regular 6" sweeps and two clipped 6" sweeps. The weight is 60 lbs. and includes gauge wheels.